Twitter’s Moments feature has been out for a few weeks now, and it’s been doing a ton of work to amp up the tool. The Moments lightning bolt button is more prominent on Twitter’s mobile apps (pushing aside Highlights), it’s aired a few television spots, and today, it pushed this feature even more forward by swapping its placement with the notifications tab. Look, I understand wanting users to experience a new feature, but this is just misleading design. 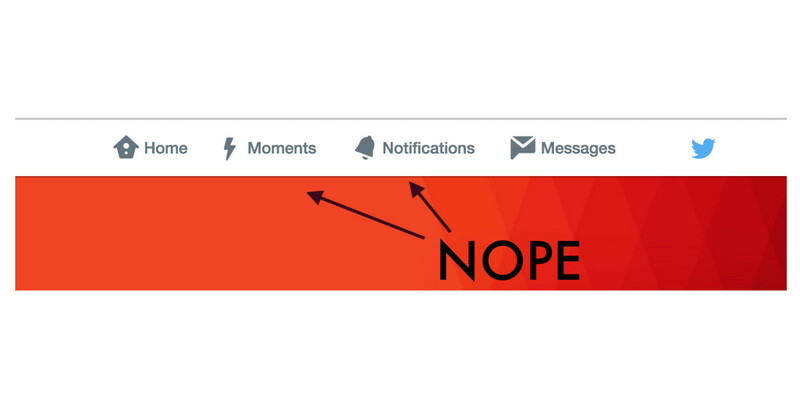 Instead of convincing users to check out Moments, users feel tricked into clicking something they didn’t intend to. Startups (and businesses in general) should focus on building products that provide value to its users. If you can’t advertise this without misleading users into “stumbling” upon it, then news flash: it’s not interface’s fault. Small words of plea: Please don’t undermine your users’ intelligence. We notice, and that’s not a good thing.